Motor: 230V, 50 Hz, Output 2.2 kW, Rotation speed 2,800 R/min. 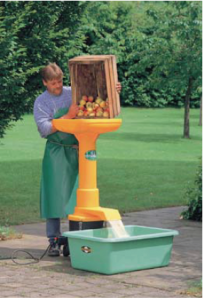 For hot and cold filling of fruit and vegetable juices, table model design with stainless steel substructure intended for filling bags with a filling volume of up to 10 litres. 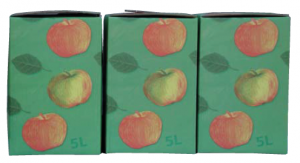 The new packaging for your juices and wines. 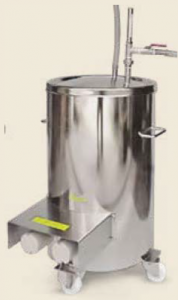 The double motor can filter has been specially developed to separate solid substances from liquid media. The double motor can filter consists of 2 can sieve inserts and 4 butterfly valves, which guarantee continuous operation through the alternating operation of the can. Two additional butterfly valves are mounted beside waste drainage. 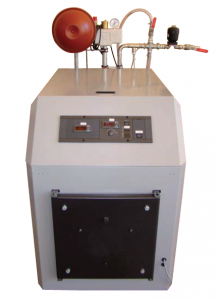 The pressure in the can being used is displayed by the pressure gauge. 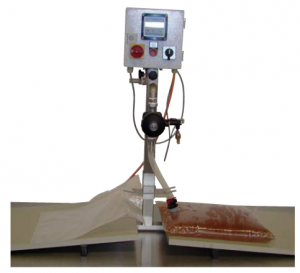 The more the pressure rises, the more surface is moistened at the can. 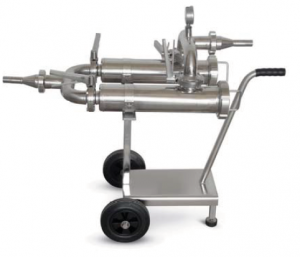 The solid substances are removed when taken out of the pipe using the rubber lip mounted on the can sieve inserts. All-in-one – a multi-talented device. For all fruit and vegetable juices. 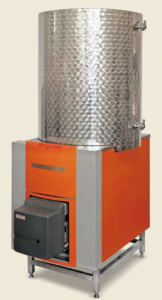 For pasteurisation and filling of fruit juices. 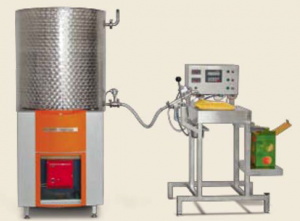 The fruit juice is gently heated via a tube heat exchanger. With electronic temperature regulator and overheating protection. All standard bottle types can be filled. The filling process starts on its own when the bottle is inserted and stops automatically when the bottle is full. 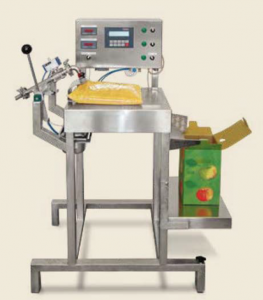 Can be optionally expanded to bag-in-box filling.